We all know how difficult it can be to secure a decent return on our savings. Average rates only seem to be falling, and bar some slight signs of life in the notice account sector, the downward trend shows no signs of reversing anytime soon. So, we thought we’d take a look at a few options – and we want to know what you think! Traditional savings account. Traditional accounts are safe, secure and you don’t need to bother with them that much – just put your money in and you’re sorted. They require little to no active management (aside from adding money and withdrawing as and when you want, and checking that you’re still getting the best savings rate available), but on the flipside, they’re not known for paying high rates. High interest current account. Current accounts may not traditionally be associated with savings, but that’s all changing. Our analysis shows that you can earn three times as much interestfrom a current account than you could with the top-paying easy access account – TSB’s Classic Plus account pays 5% for balances of up to £2,000, for example – so they could definitely be worth considering. Investments. Many people shy away from investing in the stock market as it’s far riskier than traditional saving, but for some, the potential for better returns outweighs this risk. There’s even a way to reduce that risk somewhat – some stocks & shares ISAs, for example, allow you to protect your capital investment, and with the added bonus of tax efficiency, it’s no wonder so many people are considering them. Peer-to-peer lending. The relatively new kid on the block, peer-to-peer lending involves investing money with a platform that will be lent out to borrowers – and in some cases you can decide how much interest you want to charge for the privilege. It may sound riskier as you’re not covered by the Financial Services Compensation Scheme, but there are still plenty of safeguards involved, and the potential to secure far higher returns means that this method of saving is growing in popularity. Buy-to-let. Investing in buy-to-let has long been thought of as a way to generate an income and a great profit, particularly with the rental sector booming. However, the changes announced in the Summer Budget may have put a slight dampener on things, so is it still a lucrative investment opportunity? So, just what do you think is the best way to save? 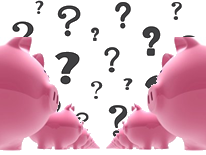 Traditional savings accounts, current accounts, peer-to-peer, or something else? Hit us up on Facebook or send us a Tweet (@MoneyfactsNews), or just leave us a comment below – we want to know what savers really think!